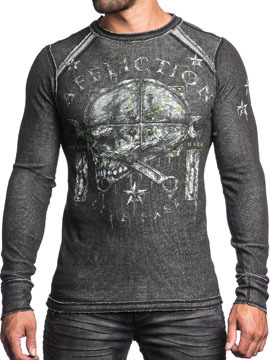 Affliction Signify mens long sleeve crew neck thermal is reversible and can be worn inside out to create two different looks. The black side features the Affliction Live Fast logo with a side profile of a large skull, two crossed wrenches surrounded by stars across the front. The back features Affliction Heavy Metal Motors 1973 logo with a skull and two crosses wrenches and stars in the center. The white color side features the Affliction Seek & Destroy logo with a large medieval upside down fleur insignia surrounded with ornate filigree on the front. The back features Affliction Seek & Destroy logo with fleur, ornate filigree and medieval cross near the shoulders. Grinded/Frayed collar, sleeve and hem. Lava wash for vintage look. 100% Cotton, slim fit. Garment dyed with silicon wash for soft feel. 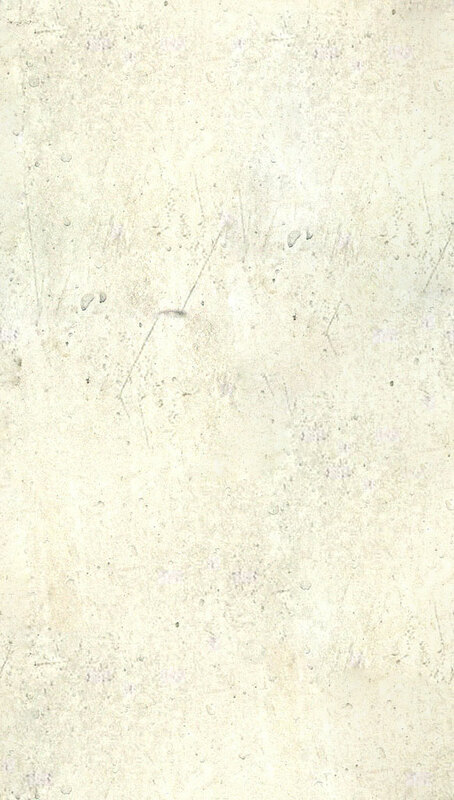 Color: black and white lava wash.